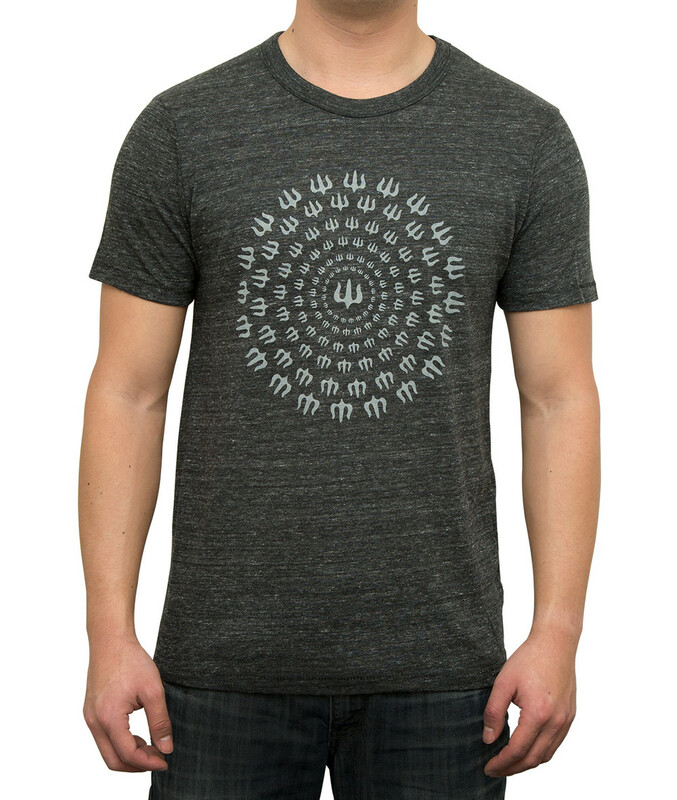 The Mandala t-shirt made from a prewashed eco-jersey polyblend (38% Cotton, 50% Polyester, 12% Rayon) made with organic materials. Heather grey with a light grey print. Super soft and comfy.